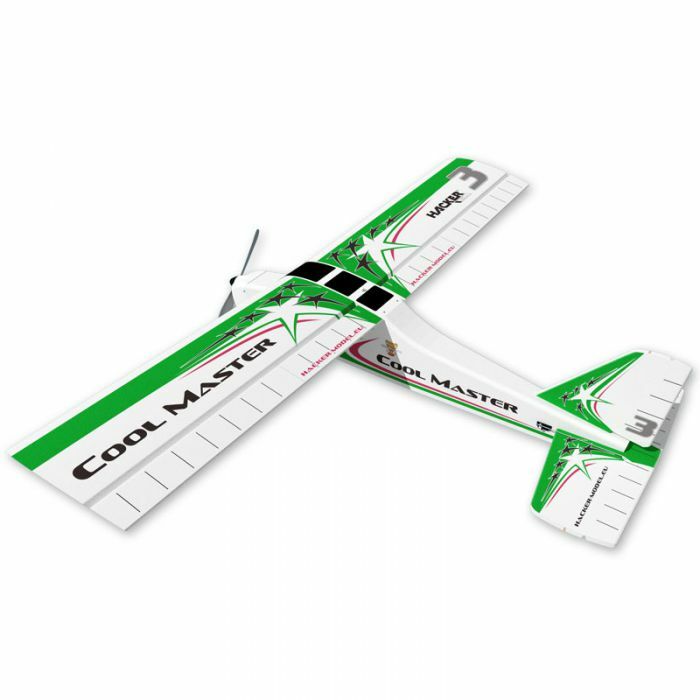 COOL MASTER is advanced trainer designed and engineered by masters. Durable, stable and maneuverable sport performance trainer confidence. 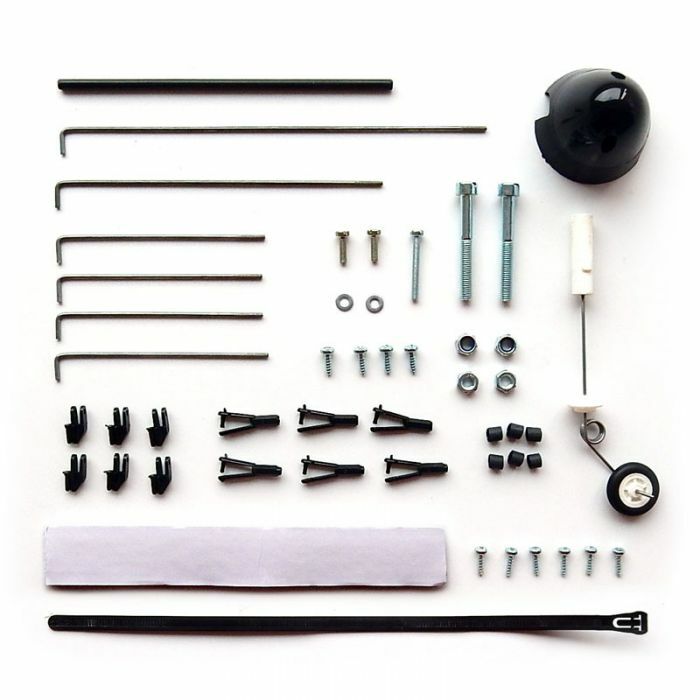 It is made of EPP and plywood, which eliminates twisting and provides the necessary rigidity and structural resistance. 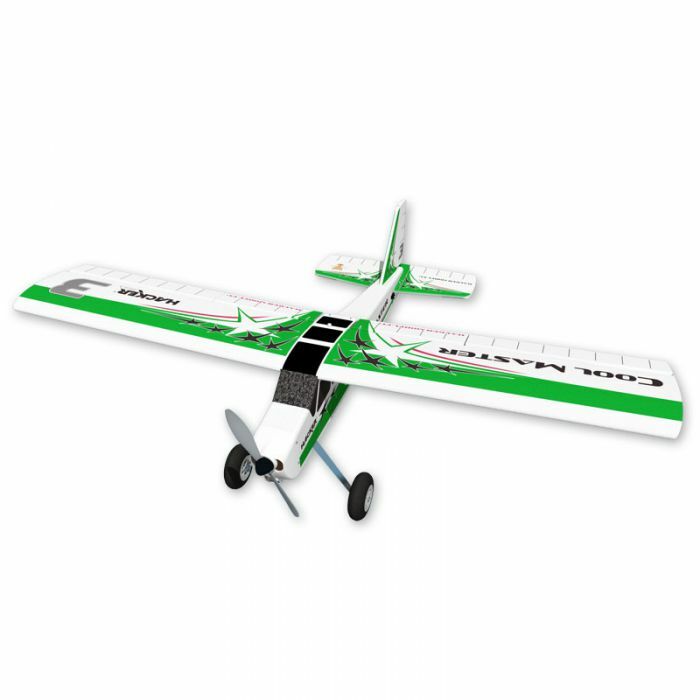 It is the lightest model in its category, with a wingspan of 1.65 m, hull length of 1.14 m and flying weight only 2000 g (with LiPo 3S2P 1750 mAh accu pack)! 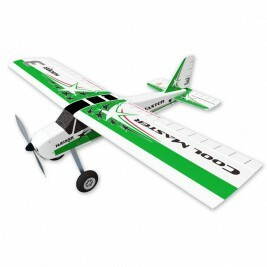 With the materials used for construction is capable flying at the minimum speed that other models are not capable. Design model ensures its stability at all speeds and turns. 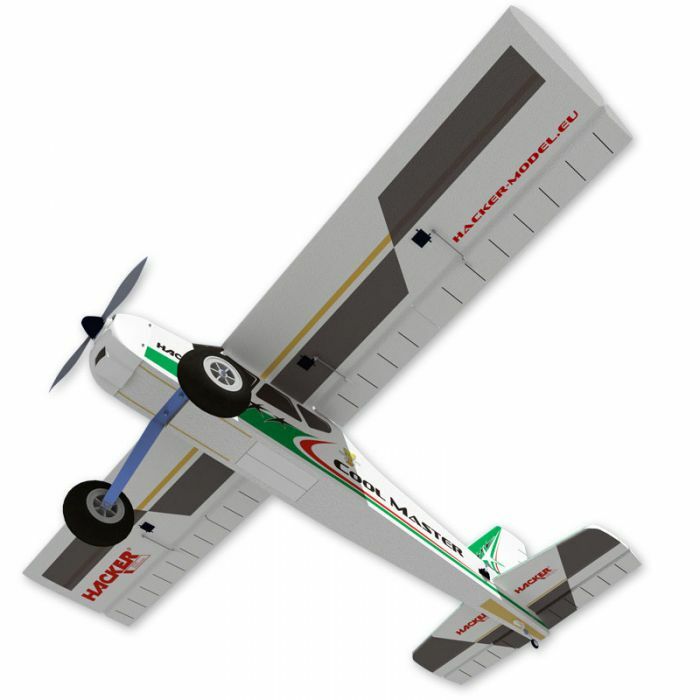 Controlled ailerons, elevator, rudder, engine and flaps are optimally designed for to satisfy all modellers from beginners to professionals. Controlled tow hook included. You can insert cargo box No. HC5769 or you can fly on water with floats No. HC1812F. In version RTF - Ready to Fly you prepare model for flight within 15 minutes after unpacking. RC Set with at least 5 channels, 6 mini servo 17-25 g, next servos for Tow Hook or cargo box doors, Tuning Combo No. 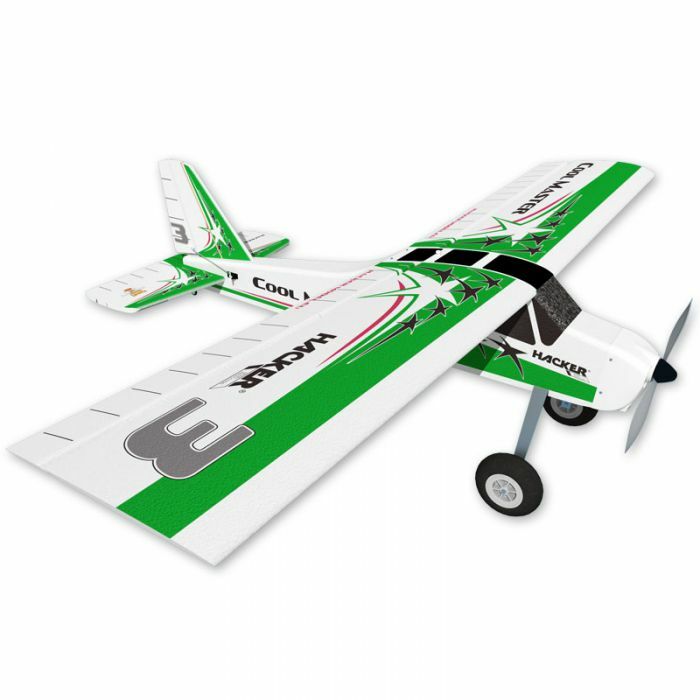 HC3544 (contains electric motor M FORCE 3548CA-5 No.HC3514 and ESC MC-65A No.HC3380), Accu pack LiPol 3S from 3300 mAh, propeller 13/8” No. HC5421K, Extension wire 150 mm JR 26AWG (2pcs) No. HC4479, 200 mm JR 26AWG (2pcs) No. HC4480, 300 mm JR 26AWG (2pcs) No. HC4483, 400 mm JR 26AWG (2pcs) No. HC4484, V cable 150 mm JR 26AWG (1pcs) No. HC4490, charger, small tools for model completation.